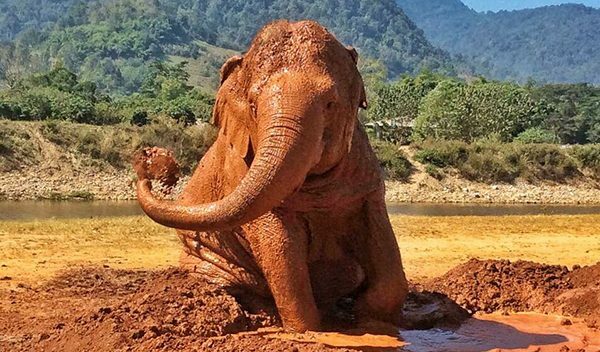 Jokia is a female elephant who born at a Karen village along the Burmese border. Her name means ‘Eye From Heaven’. During her younger days the Karen family used her to work in the logging trade in order to make money to support their family. At that time she was two months pregnant but later lost her baby in an accident. She suffered a miscarriage while pulling a log uphill, and was not allowed to stop working to check if her calf was dead or alive. This event caused Jokia extreme physical and emotional trauma, and she refused to go back to work. As a result, she was deliberately blinded in both eyes on two separate occasions by two different owners. Lek met Jokia during a ‘jumbo express’ visit. Lek left that day with a great pain in her heart, and she couldn’t stop thinking about Jokia. She returned several times offering to buy her, but the price was always set too high. 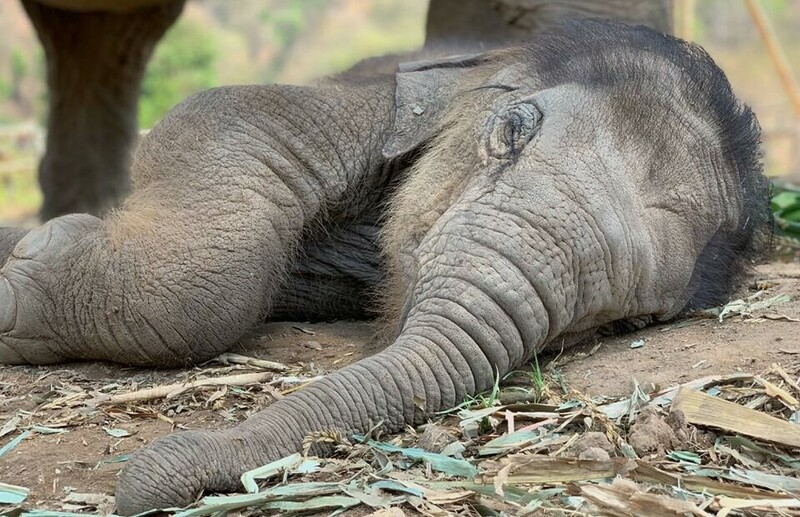 Lek could not afford to buy her but was still determined to free her. Fortunately, a few months later Amanda de Normanville and her friends in America helped to bring Jokia a new life. 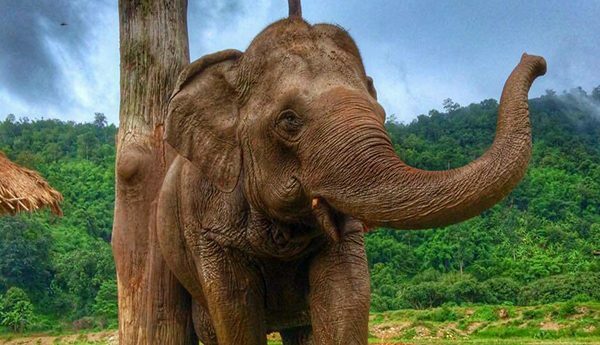 Jokia arrived Elephant Nature Park in August 1999. 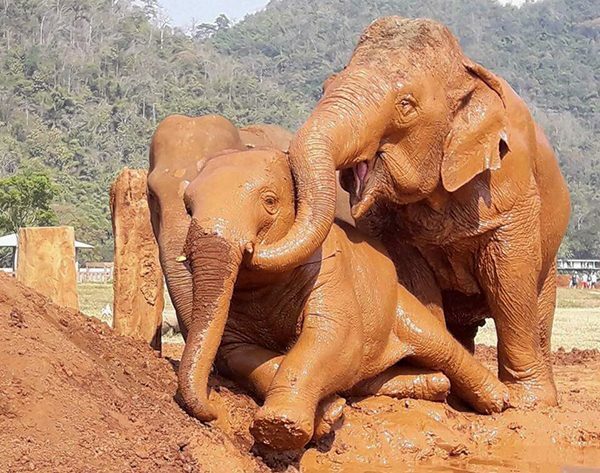 On her first arrival, Jokia was clearly delighted when she found that there is a big river to bathe everyday. She started her new life living with good care from her mahout who watches over her and assists with anything she needs help. Despite her blindness, she moves confidently with the help of her best friend, Mae Perm. Jokia and Mae Perm have been best friends since 1999. 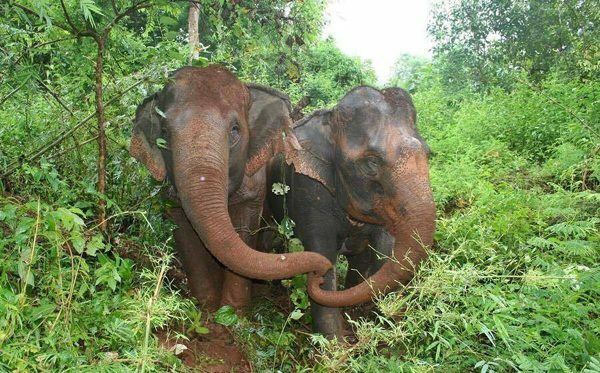 They have the longest friendship in the ENP. Unfortunately, Mae Perm passed away in April 2016 and brought a lot of sadness to Jokia. We found it is so difficult to take Mae Perm body to bury, because Jokia stood to protect her and would not let us to take the body of her best friend away. When we managed that she shown such grief crying and moaning all the time. During that hard time we followed her every where she move to be ensure for her safety. Luckily, Navann brought the attention to Jokia and spent times with her. When Mae Perm still alive, both of them used to hang out with Sri Prae and Navann’s family. So, no longer after that Jokia accepted to be the nanny of Navann. Jokia also get along well with Sri Prae as both of them walk slowly cause from their handicap. As we all know that she faced a lot of sadness, she lost her baby, she lost her best friend but she never let the painful of her past stop her life. She keep the life going on with strong spirit and happiness. How can I get the ticket? How much it cost? So sad and moving. Keep up the good work! !